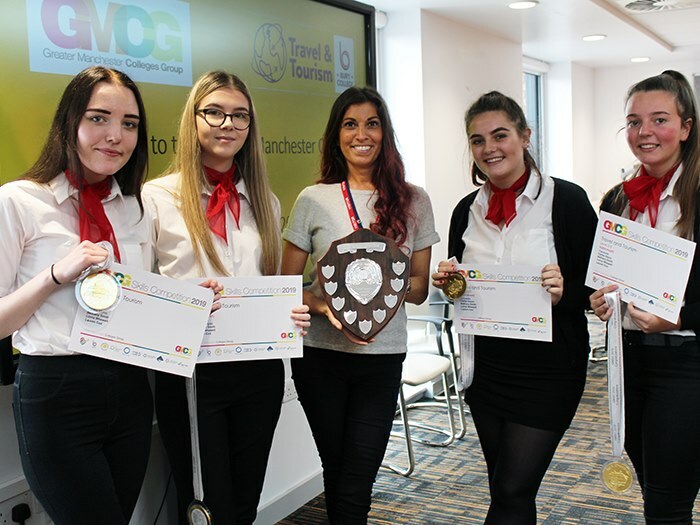 Tameside College and Clarendon Sixth Form College students are celebrating success after taking part in the annual Greater Manchester Colleges Group (GMCG) skills competitions 2019. Travel and tourism students took first place for their category, retaining the trophy for the second year running. Alongside travel and tourism, other departments claimed top prizes, winning four first places, four second places and four third places in: music and performing arts, sports and public services, art and design, enterprise, engineering, health and social care, construction, hair and beauty, hospitality and catering. 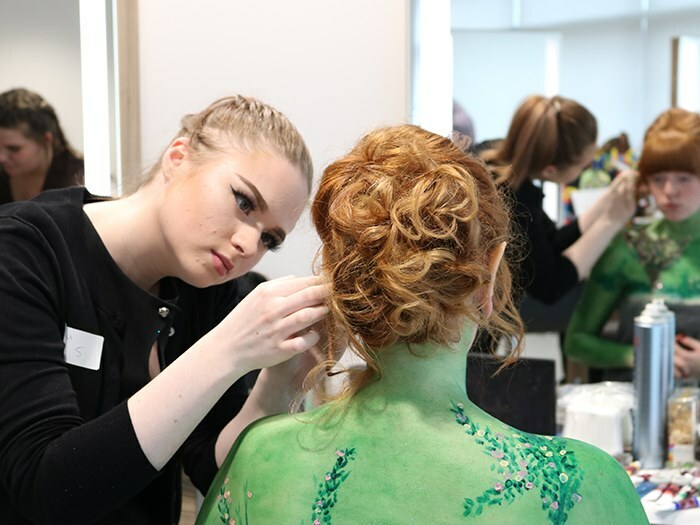 This year, the GMCG hair and beauty competition took place at Tameside College’s new, state-of-the-art Tameside One campus, with students competing in the professional hair and beauty salon.